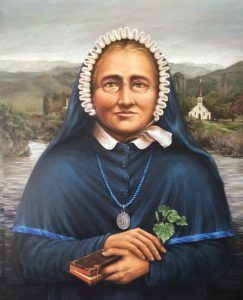 WelCom July 2017: The Sisters of Compassion and the New Zealand Catholic Bishops Conference have announced the first Sunday of October as a day of celebration in New Zealand for the Venerable Suzanne Aubert. Suzanne Aubert founded the Sisters of Compassion, New Zealand’s only home-grown order of Sisters, in Hiruharama in 1892 on the banks for the Whanganui River. Last year, Pope Francis declared Suzanne Aubert ‘venerable’ – the second formal stage on the way to being declared a saint. 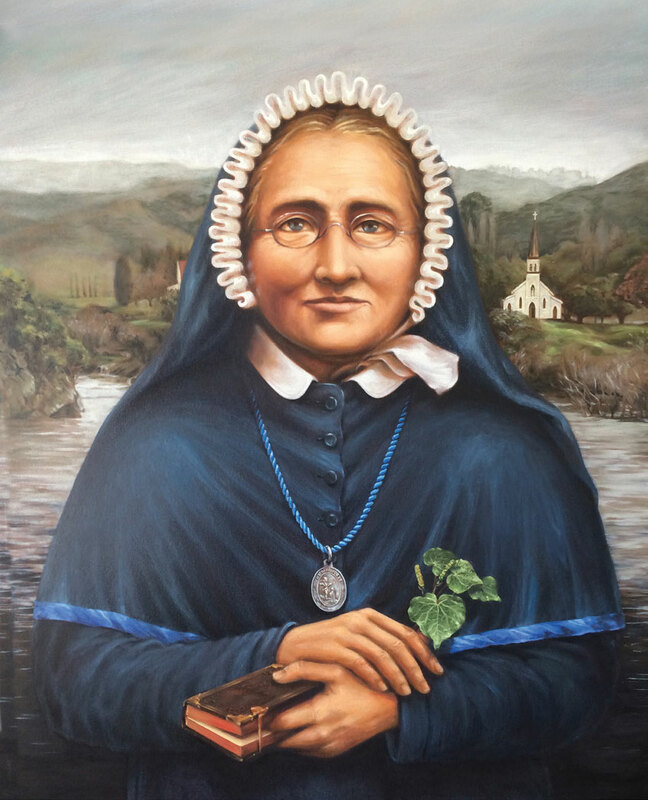 If Suzanne Aubert’s Cause for Sainthood is successful, she will be New Zealand’s first saint. Last year marked the 90th year since Aubert’s death in New Zealand on 1 October 1926, after dedicating 66 years of her life to living among, learning from and walking alongside Māori as well as caring for the most vulnerable in society. St-Symphorien-de-Lay, near Lyon in France. In September 1860 Aubert, then aged 25, sailed to New Zealand on the General Teste with Bishop Jean Baptiste François Pompallier and a number of other Catholic missionaries recruited during his year-long visit back to Europe. Here, in New Zealand Aubert served the sick, orphaned, elderly and those ‘unnoticed’ by society. She established New Zealand’s first soup kitchen that still serves almost 40,000 meals a year. She established orphanages for abandoned children and provided care for the handicapped, the sick and the dying. She was a pioneer of New Zealand’s health and welfare system and a friend to Māori throughout her life. 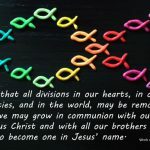 Sr Margaret Anne Mills, congregational leader for the Sisters of Compassion, said, ‘October 1 gives us the opportunity to rejoice in the faith-filled life of Suzanne Aubert and to dare to follow her example by taking the time to listen to the promptings of the Spirit. We can follow her example of complete trust in God who is with us in our everyday actions. Suzanne encourages us to listen, to trust and to be aware of the small miracles of grace that we receive each day. Her wairua or spirit lives on in the work of the Sisters of Compassion and their co-workers. 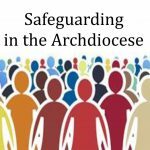 The Sisters today are still engaged in social work, pastoral care, prison and hospital chaplaincies, education, working with disadvantaged, migrant communities, and care of the sick and the elderly. 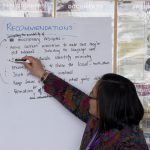 In 1997, the New Zealand Catholic Bishops Conference supported the first part of the formal process, called the ‘Introduction of the Cause of Suzanne Aubert’. Visit www.suzanneaubert.co.nz for more information on Mother Suzanne Aubert and the canonisation process.